Inflatable boat and conventional boat accessories, boat products and marine parts including dinghy davit systems, inflatable boat repair paint, keelguard, and many other custom and unique boat products and marine accessories for boating and marine uses. Review, research, learn about and buy boating products and accessories for conventional and inflatable boats. 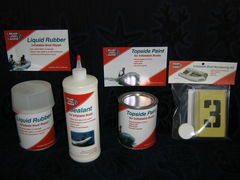 Boat products and inflatable boat paint, davits and accessories and custom and unique marine products. Boat products, inflatable boats, inflatable boat paint, inflatable boat parts and boat and marine accessories, custom marine products, inflatable kayaks and more all in one location. Inflatable boat and conventional boat products, marine accessories, watersports products and inflatable boats and accessories.